Finding Wonderland: The WritingYA Weblog (archive): Toon Thursday: Who Wants Pie? Toon Thursday: Who Wants Pie? 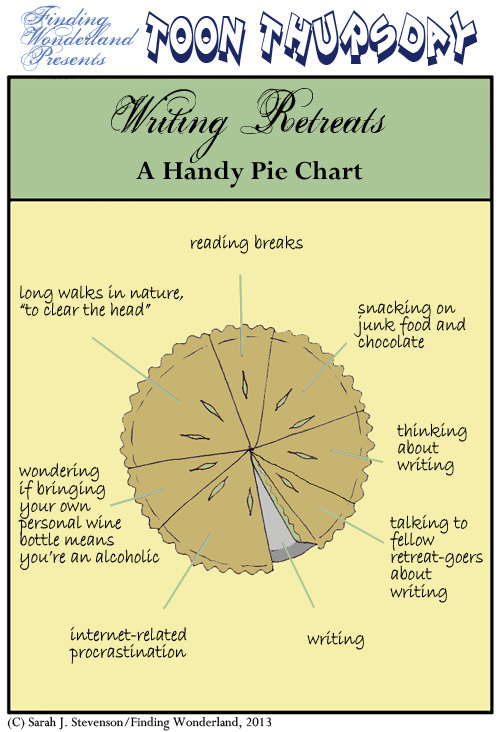 The latest pie chart: presenting the truth about writing retreats. Please note: pie chart is a work of creative non-fiction. Your experience may vary. My goofing off part of the pie would be considerably larger, sadly. "Spare some change?" Another 5 & Dime Friday! Cushion-diving for change: It's 5&Dime Friday!